JOHANNESBURG — A four-day-old baby is a surprise bright spot in Congo's deadly Ebola outbreak, as the country's health ministry on Thursday called her the first child born to a mother who has recovered from the virus. "Baby Sylvana" is healthy and does not have Ebola, the health ministry said. It tweeted a photo of the baby, her tiny mouth open in yawn or cry, in her smiling mother's arms. Baby Sylvana was born Sunday at an Ebola treatment center in Beni, a troubled city where rebel attacks have threatened health workers' attempts to contain the outbreak. 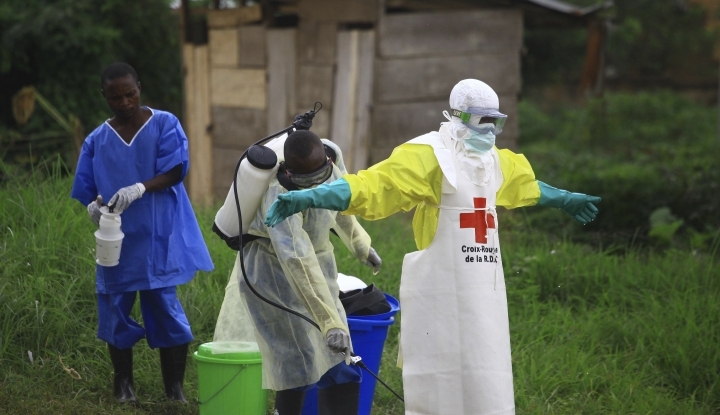 Community resistance in a wary region facing its first Ebola outbreak also has hurt the outbreak response, with misunderstandings, vandalism and even attacks on health workers common. Amid the challenges, Congo's health ministry has tried to highlight successes. Last month it announced that a baby admitted to an Ebola treatment center just six days after birth had recovered from the virus. The ministry called baby Benedicte, whose mother had Ebola and died in childbirth, the outbreak's youngest survivor.